A blueberry-sized, tortoise-shaped capsule can replace the insulin injections administered to type 2 diabetes patients every day. 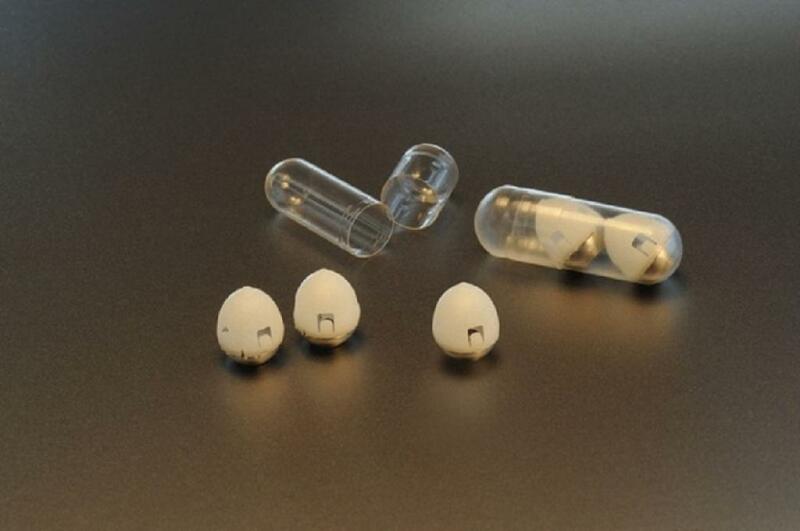 A team led by Massachusetts Institute of Technology (MIT) researchers have developed a capsule that contains a small needle made of compressed insulin. The tests conducted by researchers on animals showed the capsule could deliver enough insulin to lower blood sugar compared to those produced by insulin injections. Also, the MIT-led team found that the technique can used to deliver other protein drugs too. Other authors of the study had, several years ago, developed a pill coated with many tiny needles that could be used to inject drugs into the stomach’s lining or the small intestine. The researchers changed the new capsule so it has just one needle so that the drugs aren’t injected into the stomach’s insides and broken down by acids before they could have any effect. The new capsule’s tip is made of absolutely compressed and freeze-drilled insulin and its shaft is biodegradable too. It is designed in such a way that the needle inside the capsule is attached to a compressed spring held in place by a disk made of sugar. Once it’s swallowed, the sugar disk dissolves and releases the spring injecting the needle into the stomach wall. The researchers say patients won’t feel any pain from the injection as the stomach wall has no pain receptors. “As soon as you take it, you want the system to self-right so that you can ensure contact with the tissue,” Giovanni Traverso, an assistant professor at Brigham and Women’s Hospital, Harvard Medical School, and a senior author of the study says. The researchers’ inspiration was the leopard tortoise that has a shell with a high, steep dome, allowing it to right itself if it rolls onto its back. The pill is a variant of its shape made using computer modelling since it allows the capsule to reorient itself in the stomach.